Made for pets! 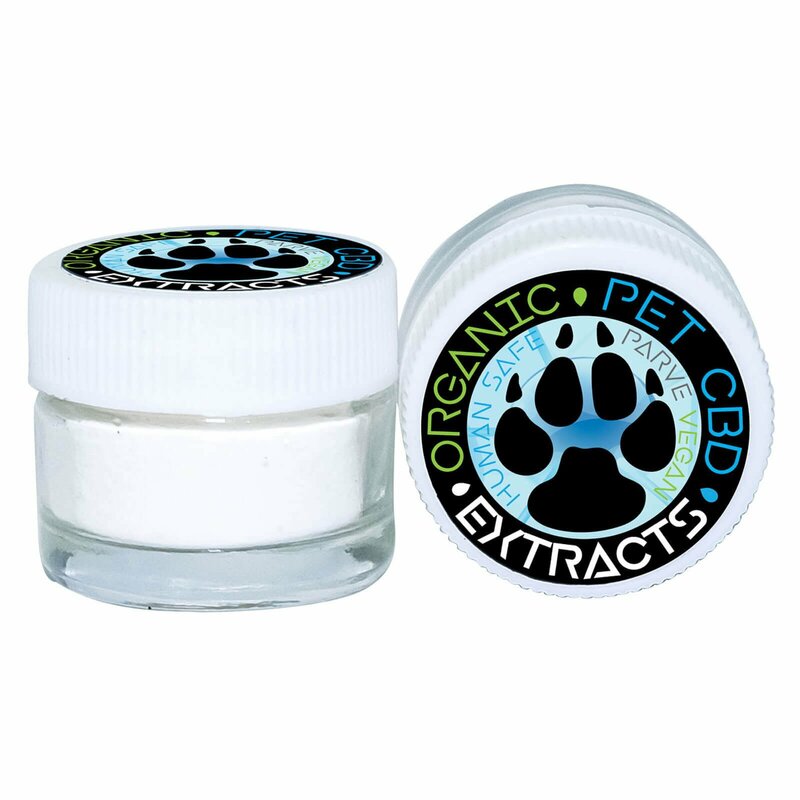 Top quality extract, kosher and organic, this is CBD for your loved animals. Consult your vet before giving CBD to your pet. Includes 1 gram in easy open jar. 1000mg of pure CBD. Sprinkle over your dogs food, or add to their water, it’s flavorless and odorless. Our quality CBD Isolate is used by everyone from parents to the young at heart, and we even supply many brands which make it into other products on the market – Buy CBD Isolate 100% legal and straight from the source. Cannabidiol (CBD) – Scientific studies indicate the medical effects of CBD can be effective with natural pain relief, anti-inflammatory, reducing anxiety, nausea, and seizures, and other neurological benefits. It’s even been found to lower incidence of diabetes, promote cardiovascular health, and is used to help fight cancer. It does not make people feel “stoned” but can be mood improving. Our CBD Isolate is specially formulated with your health in mind. It’s made from top quality, organically grown industrial hemp, to create 99% Pure CBD. It’s vegan, triple tested, and food grade to promote health and wellness. In order to preserve freshness, store away from heat, light and humidity. Not intented for use under the age of 18. Do not take if you are pregnant or lactating. Discontinue use and consult your doctor immediately if any adverse reaction occurs. Contains high quality pesticide free CBD.